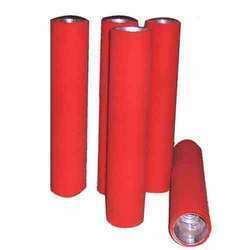 We undertake Repairing & Servicing Jobs of all types of your Old or Imported Rubber Rolls for Length Cutting, Grinding, Recoating, Complete Overhauling, etc. We refurbish your old Roll and make it like complete new Roll. We have separate Staff to handle old Rolls & Service it.